Katie Peterson Warner is manager of communication and evangelisation, Catholics Come Home. You may have heard it said before that the second largest group of Christians in the world next to Catholics is fallen-away Catholics. Well, Catholics Come Home®, a non-profit media apostolate based in the United States, is working to reverse that trend. Pope John Paul II continually exhorted the Church to begin a “new evangelisation”. He realised that the old methods needed refreshing, stating: “This vital field of action for the Church requires a radical change of mentality, an authentic new awakening of conscience in everyone. New methods are needed, as are new expressions and new courage” (John Paul II, Discourse to the 19th General Assembly of the Council of Bishops’ Conferences of Latin America and the Caribbean, 9 March, 1983). Inspired by the Holy Father’s call to a New Evangelisation, Catholics Come Home is reaching out to inactive Catholics with inspiring TV commercials and an interactive website to welcome them home. Busy schedules and the lures of our secular world are causing many to drift away from God, Church and their family of faith. Catholics Come Home evangomercialsTM extend a gentle, open invitation to rediscover the Sacraments, the Mass, and the graces that come with being a part of God’s family within a parish community. Catholics Come Home employs mass media outreach effectively to create a highly successful Catholic evangelism effort never before seen – and the results are astonishing: “Six months after the CatholicsComeHome.org media campaign ended, a comprehensive analysis was conducted, which revealed the average increase in Mass attendance (returned Catholics, new converts) was 12 per cent, even though population growth in the Diocese of Phoenix was flat during that period. This equates to an increase of as many as 92,000 souls who came home!” says Ryan Hanning, director of adult evangelisation, Diocese of Phoenix, Arizona. Since that initial launch campaign in Phoenix, Catholics Come Home campaigns have run in 35 dioceses and archdioceses in the US and Canada, in addition to three nationalcampaigns, reaching more than 200 million viewers and helping to bring home to the Catholic Church more than 350,000 souls. It was just a few months ago that the “Catholics Come Home” campaign had begun to catch my attention. The website was intriguing and had enough information to encourage me to visit often. I especially loved to watch the evangomercials. I was a born again Evangelical Christian who had finally realised that the Catholic Church was my home; it is vibrant, relevant and deeply steeped in Christian tradition. The journeys I had made through the other denominations were nice places to visit but I couldn’t manage to make them a permanent home. The website, book and Facebook page “Catholics Come Home” have been instrumental in guiding me back, in guiding my family back. The Bible tells us: “Seek ye first the Kingdom of God” and I have done that. The seeking has brought me back to the CatholicChurch and my family with me. 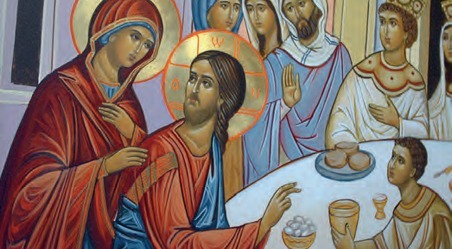 I am joined with the body of believers, and in the Catholic Church I have found that we are continuing the work that the early Church and the apostles had begun. Returning was easy: I walked into the rectory office, explained that we were moved by the “Catholics Come Home” campaign and would like to return. To my surprise there was no questioning, no condemnation or accusations, there was simply…welcome back. You can go home again and it is my heartfelt desire for people to come to know Jesus Christ and His Gospel, to place their faith in Jesus and experience Him through the Catholic Church. Thank you for the invitation; this Catholic has come home. Perhaps one of the most intriguing aspects of Catholics Come Home is its ability to reach and touch people of all ages. Countless young adults have relayed their own stories of coming home after seeing the ads on television and visiting the website. After watching the commercial, Adrian visited the website and started to learn more about the Catholic faith. Sure enough, he found himself uncovering the truth that he had been searching for. “History was proving to me that the Catholic Church was the one true faith,” he said. Adrian’s story brings to the forefront another Holy Spirit-driven benefit of Catholics Come Home: its appeal to more than just fallen-away Catholics. Around 25 per cent of the visitors to CatholicsComeHome.org are non-Catholics, and during both diocesan and national campaigns, our office receives a barrage of emails from Protestants, atheists, and others inquiring about the Catholic Faith. As Catholics, it is our mission, given to us by Christ, to evangelise the world. The invitation to “come home” is extended to everybody. The Holy Spirit is clearly behind the work of this apostolate. When we ask people why they come home, they tell us: “Because you invited me.” The answer to how to get lapsed Catholics back into the Church is to invite them home! So what can you do to invite souls home? Visit CatholicsComeHome.org and explore the wealth of resources we have there to help you share your Catholic faith with others in a charitable, inspiring way. We also have a great shop section, featuring Tom Peterson’s powerful and engaging new book, Catholics Come Home: God’s Extraordinary Plan for Your Life. In it, he offers incredible stories of inspiration and hope for people in all walks of life to experience an adventure with God. Speak candidly about your Catholic faith. Recall the mottos of Blessed Mother Teresa and Blessed Pope John Paul II: focus on faithfulness rather than success, and be not afraid! Become a convincing disciple of Christ’s Catholic Church. With regular participation in Mass (weekly yes, but even daily), receiving Holy Communion in a state of grace, praying the Rosary, reading the Bible and good Catholic books, regularly partaking in Eucharistic Adoration, fasting, and doing works of mercy for others, we grow in our faith. We begin to exude Christ’s light and love in the world. 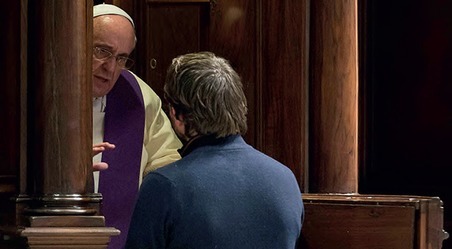 Encourage people to return to the sacraments – starting with Confession. Living the Catholic faith begins with Reconciliation. We serve a God of second chances – actually, a God of unlimited second chances! The sacramental graces and mercy found in the confessional are often the best means of starting over and heading home. We are all prodigal sons and daughters who need to come home to the loving arms of God, Our Father. In living a sacramental life, we begin to realise the joy that comes from knowing, loving and serving God, and nothing in this world can fill our hearts the way Christ can. Bring Catholics Come Home to your diocese. Britain has an estimated five million Catholics, yet only a million attend Mass regularly. Could Catholics Come Home work in the UK? Absolutely. The message of Catholics Come Home is meant for everyone. We recently expanded our apostolate’s reach internationally, and we received an overwhelming response to the ads when they aired in Vancouver, British Columbia. Canada’s rates of practising Catholics are significantly lower than in the United States, and atheistic and secularist hostility toward practising Christians is high, yet Catholics Come Home was able to extend the invitation to “come home” to tens of thousands of souls there. The fact that so few in Britain practise the Catholic faith regularly is all the more indication that Catholics Come Home would be a great asset there, too. It is already a practice of ours to tailor our commercials to different cultures, so that they relate to the people there. Evangomercials that would air in Britain would be unique to British culture. In addition, we would encourage the diocese or archdiocese we are working with to develop unique efforts to accompany the commercials to aid in reaching out to the British people. If you are interested in seeing Catholics Come Home in your area, you can reach out to your diocese. It is time for all of us to do our part in this New Evangelisation. The time for inviting Catholics home and reigniting our own faith is now. Tomorrow is too late. God is hungry for souls and has an extraordinary plan for all of our lives. Catholics are coming home to live out this adventure, and you can help continue the trend.